Everton have agreed a deal to sign Tom Cleverley when his contract expires at Manchester United on July 1. The 25-year-old England midfield player will arrive on a five-year contract, becoming the first signing of the summer by manager Roberto Martinez. 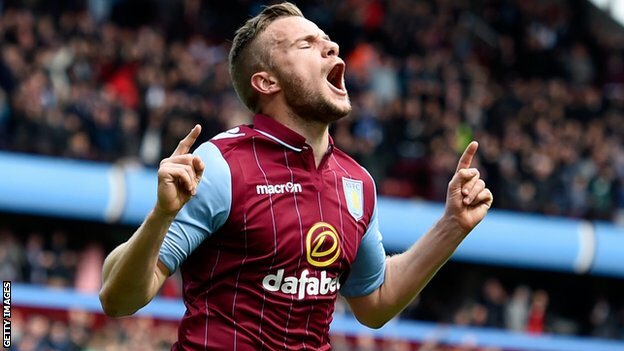 Cleverley, a key figure in the team which won the Premier League title in Sir Alex Ferguson’s final season as manager at Old Trafford, made 38 Premier League appearances last season, 37 of which were on a season-long loan for Aston Villa. Cleverley has been called up to the England squad for the upcoming friendly against the Republic of Ireland and the Euro 2016 qualifier against Slovenia, having secured 13 caps since making his debut in England’s first match after Euro 2012 in a 2-1 win against Italy at the Stade de Suisse in Bern. He went on to play a big part in England’s qualification for the 2014 World Cup in Brazil, featuring in seven of the 10 group H games. Manager Martinez said: “We are extremely delighted to be welcoming Tom to Everton and I can think of many reasons as to why our fans will enjoy Tom representing our football club.